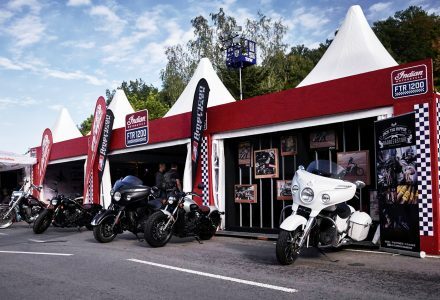 GERMANY/AUSTRIA – Whether in the winter in the warm or in the summer on the road – Indian Motorcycle fans and those who want to become one can experience their favourite brand live all year round. In 2019, the first American motorcycle manufacturer to hoist its red and white flags in Germany and Austria at more events than ever before. Indian Motorcycle will be at full throttle in 2019 with the latest products on the fair floor or outdoors, stunning conversions at custom shows or legendary summit storms in various mountain regions. 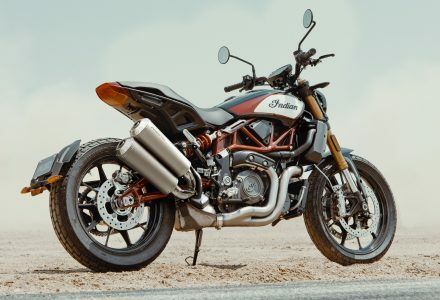 Indian Motorcycle has announced the range-topping 2019 FTR 1200 S Race Replica will be launched exclusively with an Akrapovič exhaust at a significant saving over aftermarket purchase. Limited to the first year’s production of the FTR 1200 S in Race Replica paint, the offer includes the Akrapovič low-mount exhaust in titanium and stainless construction with a protective black matte carbon fibre heat shield. 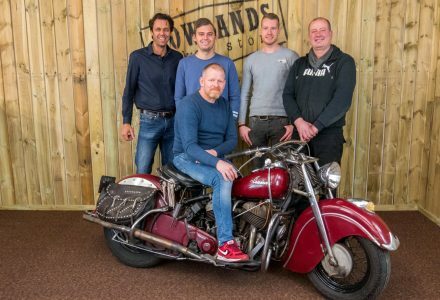 Indian Motorcycle returns to Biarritz as the title sponsor of Wheels & Waves for the third consecutive year, continuing a partnership that began in 2017. 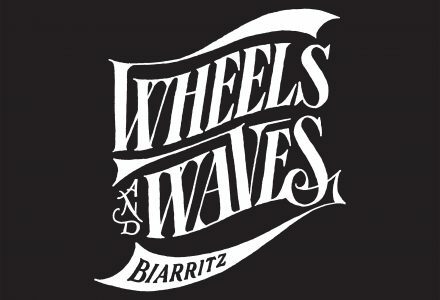 From Wednesday 12th to Sunday 16th June, the eighth edition of Wheels & Waves will again celebrate the joy and culture of motorcycling, surfing and skateboarding.